KIds Summer Camp "A Day at the Beach"
Join us for a fun week making projects for "A Day at the Beach". 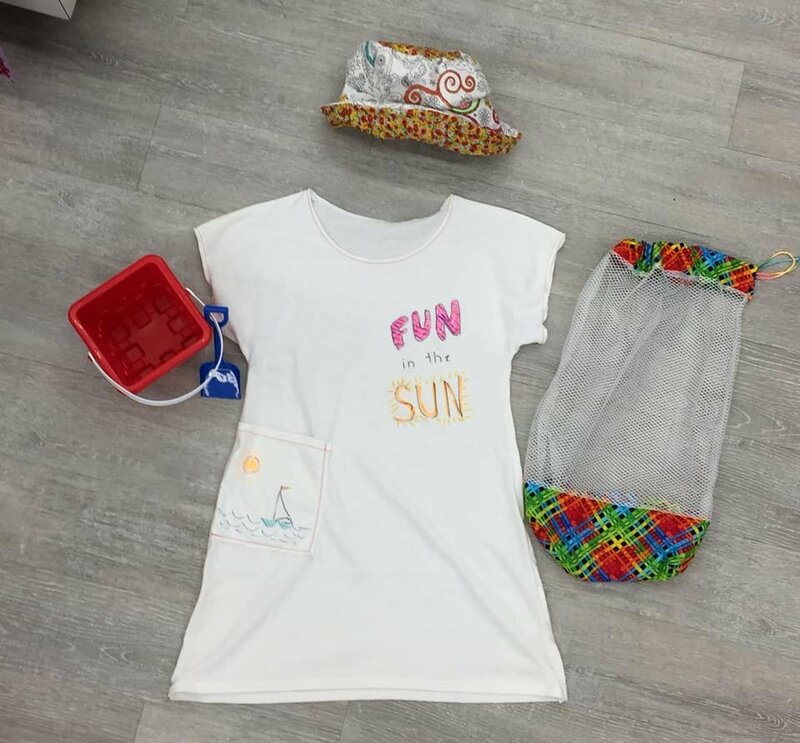 At the end of the week you will have completed a funky shaped beach pillow using decorative stitches, a fun and colorful beach bag with a detachable coin purse and a beach cover up. Please pack a lunch and a drink for each day.